Looking for a fundraising opportunity? Since your residence, church or business is along the historic Lincoln Highway, join hundreds of others from West Virginia to Iowa who will be holding Lincoln Highway BUY-WAY Yard Sales on these dates. All sale receipts remain with the individual/group that holds the sale (unless you choose to make a tax-deductible donation to the Indiana Lincoln Highway Association), and you can choose the days/hours you wish. Do you have some clutter that others will no doubt cherish? Set up your own table along the route! Is your church, school, or organization looking for a unique fund-raising opportunity? Take advantage of the marketing, publicity, and customers that will be available. Like to drive and learn about our heritage, plus see some yard sales going on along the route? Get out and drive along the Lincoln Highway in Indiana for a day or two. Stop in for breakfast, lunch or dinner at one of the many great restaurants on the route and visit historic sites while you shop. 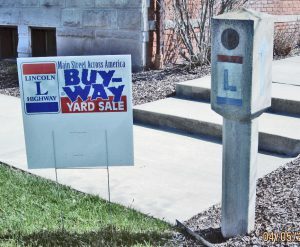 For more information and tips on participating in the Lincoln Highway BUY-WAY Yard Sale go to www.historicbyway.com. 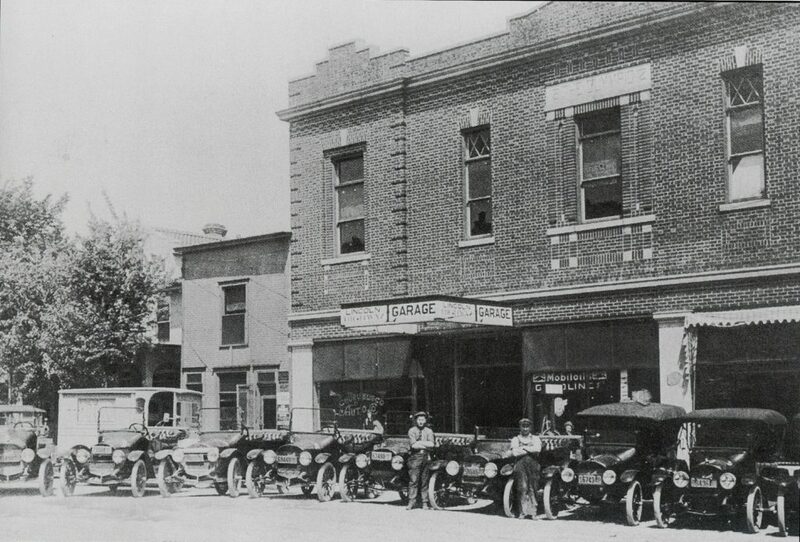 To learn more about the Lincoln Highway go to www.IndianaLincolnHighway.org or www.lincolnhighwayassoc.org. A week before the sale we will publish a new website blog entry will all the sale listings. We also have LH BUY-WAY Yard Sale signs (that can be customized for your location) with wire brackets for sale @ $12.00. Contact Bev at lincolnhighwayassoc.office@yahoo.com or 574-210-6278 for more details. Enter by emailing your three (or more) selfies to lincolnhighwayassoc.office@yahoo.com or mailing them to Indiana Lincoln Highway Association, 801 W. Washington St., South Bend, IN 46601 by September 8, 2018. Include your name and contact information with your entry. A drawing will be held on September 10, 2018. Two winners will be selected to each receive $25 in a random drawing from among all eligible entries received by that date. Photos may be posted on the Indiana Lincoln Highway Association Facebook page. Submission of your selfies provides your approval to post your photos on the INLHA Facebook page or for use by the Indiana Lincoln Highway Association for marketing purposes. ♦ By the LH post at the Schererville Town Hall, 10 E. Joliet St.